Comment: I would like to get an estimate for concrete. Looking for estimates through email and in text. Comment: Existing concrete bag seawall in reasonably good shape but has some washout of soils behind. I would like these areas backfilled and stabilized to prevent future damage. Comment: Need free estimate to repair/replace concrete driveway and walk way to entry. Fort Worth Concrete Contractors are rated 4.65 out of 5 based on 2,076 reviews of 116 pros. 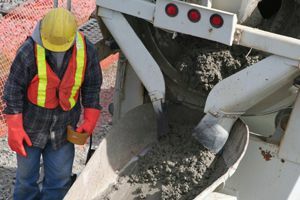 Not Looking for Concrete Contractors in Fort Worth, TX?